FitSpace blog - get fitness tips, articles, and information here! "Abs are made in the kitchen." We've all heard this quote ...and if you haven't, then now you have it! There's a lot of truth to this statement. Exercise and diet go hand-in-hand when it comes to getting the results you want. Yes, that means if you workout consistently, but don't stick to a carefully constructed meal plan, your goals will be that much harder to obtain (and when you're already putting in all this hard work, why let it go to waste?!). One of the most important factors to consider when planning your diet is protein intake. For maximum benefits, stick to lean sources of protein - chicken, fish, ground buffalo, whey protein, and egg whites. These options are all fairly low calorie, so you build muscle while staying trim! Getting your diet right is hard, especially when it's new. You may find yourself devoting an enormous amount of time to figuring out what foods to eat and when. This is completely normal. Meal choices should be determined by your specific goals - do you want to bulk up, trim down, etc... Below is a sample meal plan I've specifically designed for those who want to stay trim and build muscle simultaneously. *Note: this is a guide to help structure your meals, as well as give an idea of what you should be eating, when, and how often. Fit Tip: squat like a pro! 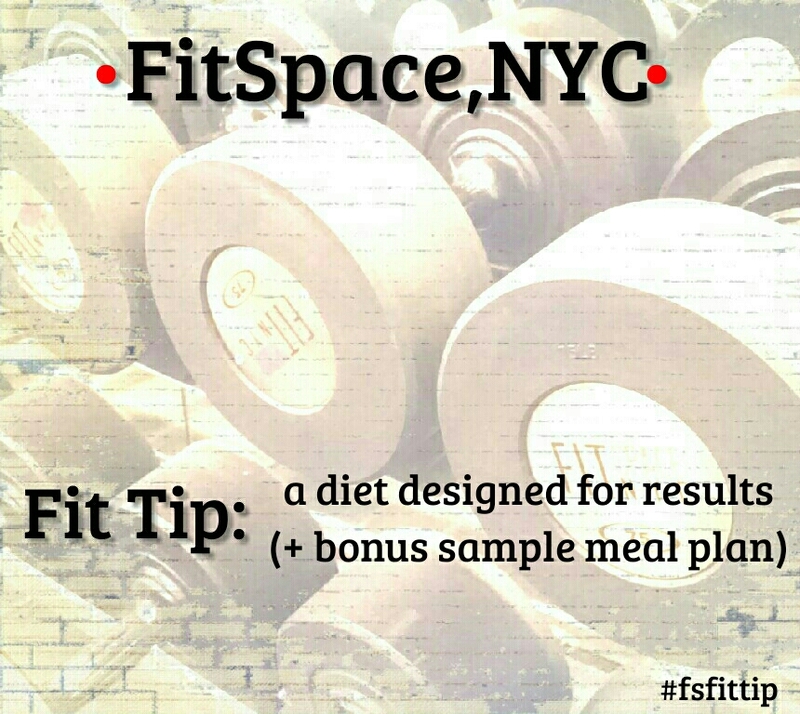 FitSpace NYC is a private boutique fitness facility, located on the Upper West Side of Manhattan, in New York City. Founded by Richard Louis (a national and international bodybuilding champion) in 2014, the studio is dedicated to providing exclusive individualized training to our clients. Fit Tip: get your quads, hams, & glutes in summer shape! Fit Tip: get your abs summer ready! Fit Tip: You can't flex fat! Fit Tip: women & weights ...the truth!